Dr Timothy Wells has been the Chief Scientific Officer of Medicines for Malaria Venture (MMV) since 2007, co-ordinating the development pipeline of new medicines from discovery through to post-approval studies. During his time at MMV he has led the implementation of collaborations based on high content screening, developments in translational medicine, and open access drug discovery. With our partners we have developed a wide portfolio of new medicines in clinical trials (all discovered within the last decade) as well as 7 products, many of which are currently being used by millions of children worldwide. One of the keys to MMV’s success is the development of open access agreements in drug discovery and development, for which MMV was given the Open Data Institute award from internet pioneer Tim Berners-Lee in 2015. This has helped to drive innovation in a disease area which is classically considered to be one of market failure. Prior to joining MMV, he had over 20 years experience in drug discovery and development. From 1997 to 2006, he was the Head of Research for the Swiss biotech company Serono, developing products in neurology, immunology, oncology and reproductive health. In addition to his work at MMV, he advises on a variety of infectious disease projects, including tuberculosis and schistosomiasis. 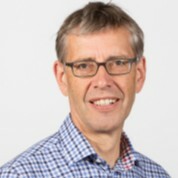 He is a non-executive director at Kymab, developing next generation monoclonal antibody technologies, and an interest to their applications in neglected disease. He has 220 peer reviewed publications, and an H-index of 71, and in 2015 co-authored a book on drug design for neglected disease. Tim received his PhD in Chemistry in 1987, on the engineering of enzyme transition states from Imperial College, London; his ScD in Biology in 2009, from Cambridge University in the UK, was mainly awarded for his work on cytokine biology. He is a fellow of the UK’s Royal Society of Chemistry and of the Academy of Medical Sciences.